Natalie Dow, sponsored by Englewood Rotary, arrived in Peru in July to begin her youth exchange program. 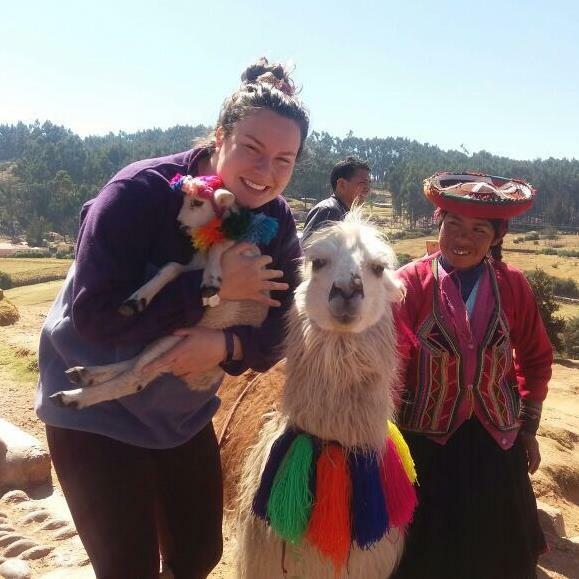 Natalie is attending high school in Lima, and is shown here visiting Cusco with some special friends. Natalie is writing a blog where she details the excitement and challenges of her experience (she did not know Spanish, but she's learning fast): "I don’t think I knew what the word challenging really meant before. It’s one thing to conquer things from home - but being here in a 3rd world country and having to figure out the: customs, food, expectations, dress code, gender roles, weather, transportation, safety, and language has been life changing."